Sephora doesn't have sales very often, so when they do, it's a big deal. 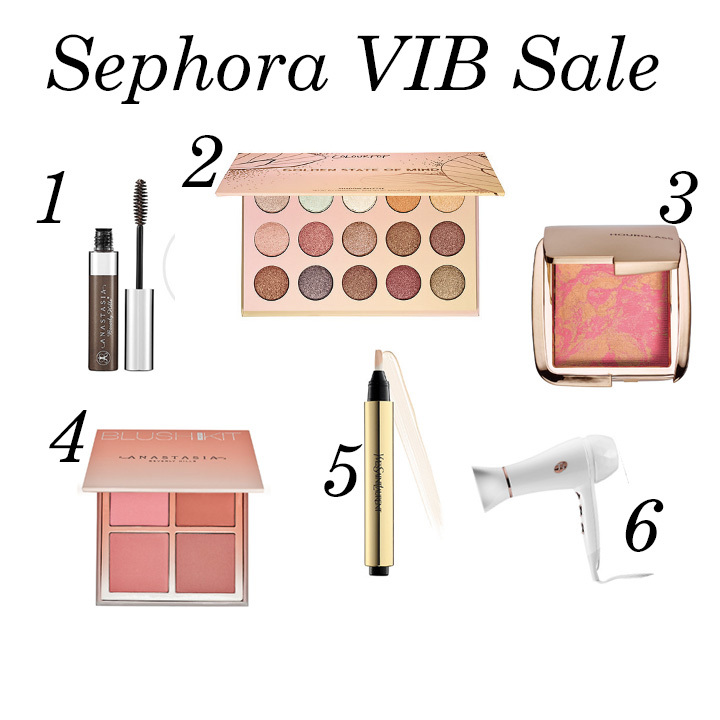 From now until Wednesday, VIB Insiders at Sephora get 20% off their purchases, which is no small thing! So I'm sharing my favorite picks to buy during the sale. I don't "do" my eyebrows every day, but if I do, I swear by this gel. It looks natural and is so easy to use! I was so happy when ColourPop came to Sephora, and I love every single color in this palette. When there's a sale like this, I like to get something fun that I wouldn't buy otherwise, and I cannot wait to try out these colors. This blush is just the right mix of shimmer and matte, and is so incredibly pigmented - I only have the use the tiniest bit. It also really lasts all day, and doesn't settle into my pores! I use the color Radiant Magenta (pictured) but all the shades are great. This was intriguing to me - I haven't used Anastasia blush before, but I trust their brow gel, so I trust them. The color selection is great! I use this as an under eye highlighter/concealer, and it is the only one I will use! I tried a few drugstore dupes, and while they certainly weren't bad, there's just something about the texture and finish of the Touche Eclat that keeps pulling me back to it! If you're looking for a good deal during the sale, this is what you should buy! This is the blow dryer that I use, and it's actually on sale right now for $50 off, which is amazing. It's definitely not cheap, but it's worth it - my hair is less frizzy and healthier when I use this dryer! You can also find the products in the widget below - happy shopping!